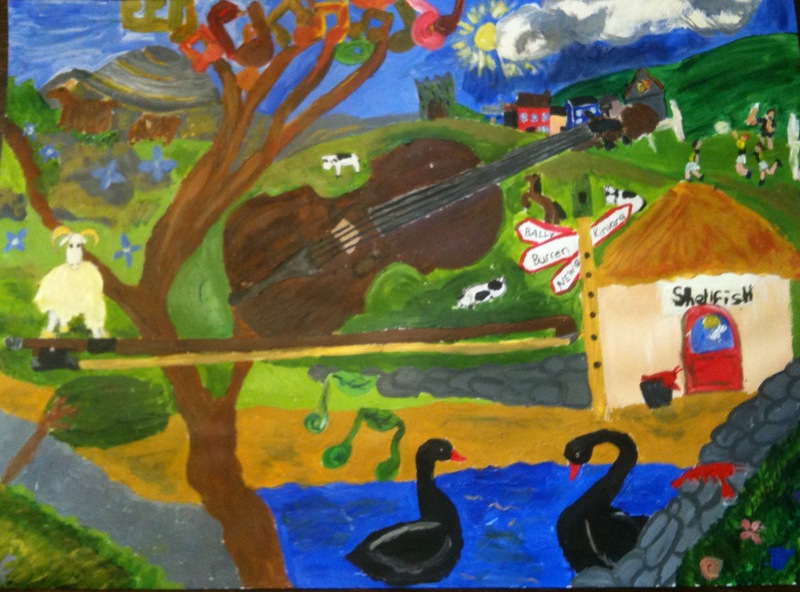 Music & Song greatly enriches the education of the children at New Quay School. The children have regularly performed in their local community as well as performing in Galway and Ennis for ‘Peace Prom’. For the third year in a row the school took part in the ‘Music Generation’ project. This project is part of Ireland’s national music education programme, the launch of which took place in Glor, Ennis. Two memorable concerts involving our schoolchildren took place in Carron Church & in Kilnaboy in 2014 & early 2015. In November & December 2016 the 3rd to 6th classes performed in Glor as part of Music Generation. The School choir also sings for the school communion or confirmation ceremonies. Tin-whistle is taught to 3rd, 4th, 5th & 6th Class. The instruments played by children outside of the school have included piano, violin, viola, cello, tin whistle, saxophone, concertina & guitar. Several of the children from both Senior & Junior rooms are members of the ‘Coole Music Orchestras’. Several students perform in the annual Coole Music Orchestra Festivals and more take part in the Joseph Browne traditional Music School held during mid-term break in Kinvara.